Golf’s premiere funnyman David Feherty brought his hilarious Feherty: Off Tour to the Grand Strand during our 2018 event! He did not disappoint and had the crowd laughing for two consecutive hours during his stand up comedy performance at the Myrtle Beach Convention Center. 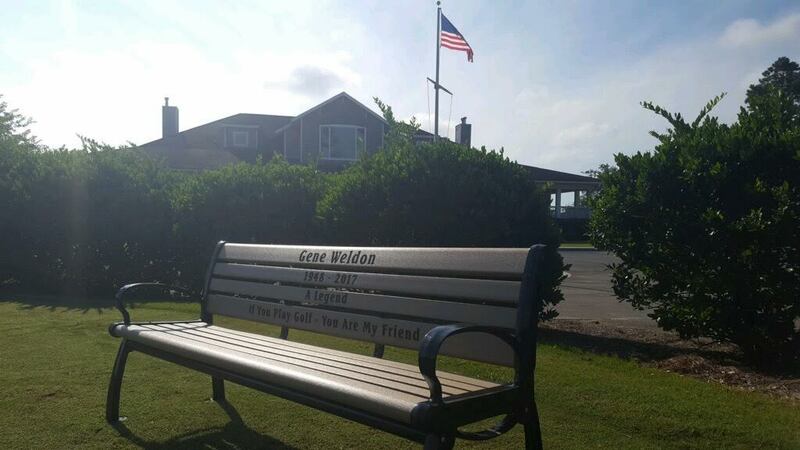 Proceeds benefited Gene’s Dream Foundation and The First Tee of Coastal Carolinas. 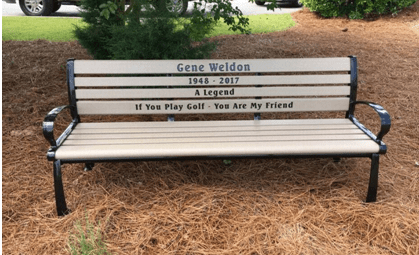 This bench in Gene’s honor was dedicated at a tournament on June 24, 2017 at Rivers Edge Golf Club in Shallotte, NC. It overlooks the scenic par 3 fifth. Participants in the bench dedication tournament shown here. 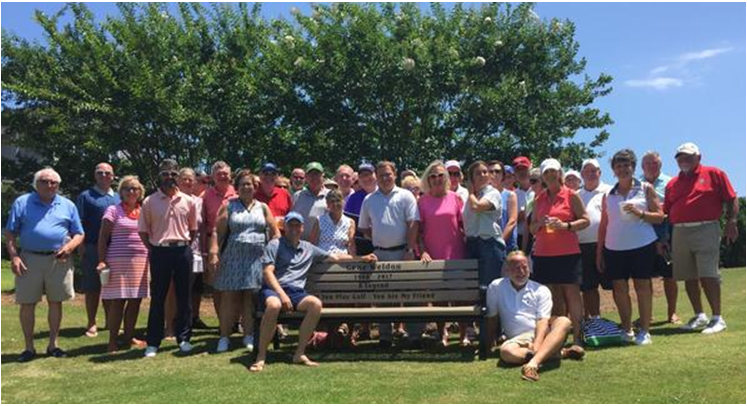 The event was dubbed The Bench Open and will be an annual fundraiser for Gene’s Dream Foundation.